Describe the year so far for The Chainsmokers and prolific is the word. After a breakout 2014, Alex Pall and Drew Taggart have followed up in 2015 with a whirlwind of brand new music. Beginning with “Let You Go” in March, The Chainsmokers have released five new singles this summer with plenty more to come. Wet Republic.com caught up with the DJ/production duo to discuss a handful of topics, including why they’ve decided to release new music in a real-time manner. Wet Republic.com: What’s been the motivation behind releasing a lot of new music as of late? The Chainsmokers: We spent a lot of time this winter just working on records and kind of figuring out who we are as artists after “Selfie” and “Kanye” were kind of like big pop records for us. We just realized that we had a lot more to show people as artists and had made some really cool stuff. And you know, that’s just how things are these days – people want a consistent flow of content. We have all this music and we figured it was better to release them as singles. Just because in reality we only have a couple songs out, we thought that instead of deciding to hit them with an album, we’d just kind of I-V drip these things out there. WR: Releasing singles instead of putting out a full-length album, would you say that’s just the nature of the music industry today? For example, Drake just released a handful of new tracks online. Is it just more effective to put music out there like that these days? WR: Of all the new songs that you’ve put out there, is there any one track that you’re proud of the most? CS: Yeah, our new song “Roses” which is doing really well for us right now. We haven’t really done any promotion behind it and it’s consumed our Twitter feed for the past four or five weeks that it’s come out… We wrote the whole thing in one session and it came together really naturally. It’s like one of those songs that you when you make, you put on your playlist and you skip to it every time. It’s kind of rare – everyone makes stuff that they’re proud of, but this is one of those songs that as soon as (we) made it, (we) couldn’t stop listening to it. WR: Another one of your newest tracks is “Only You”, a collaboration with Tiësto. Do you have any plans for other collaborations coming up soon? CS: Yeah, absolutely. We’re working with DVBBS and we have a huge song with Tritonal that (we) think is gonna do really well on the EDM scene. Hopefully, it can cross through and push into the pop world – it has that potential. There’s a lot of other EDM artists (that we’re working with but we) don’t want to say who because those collaborations aren’t far enough along. But, we’re trying to just work with as many people as possible because we genuinely enjoy making music and every time you work with someone, something cool and unexpected comes out of it and you learn something. 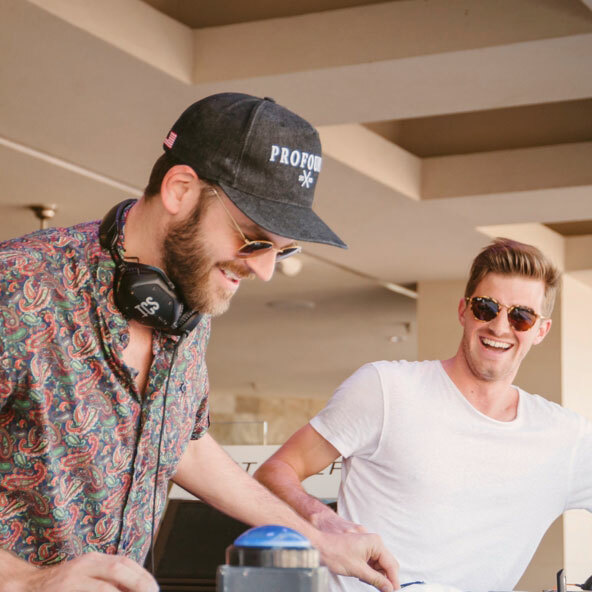 The Chainsmokers headline Wet Republic’s Industry Closing Party! Purchase tickets below.